As a proud homeowner, you need a roofer in Connecticut that you can actually trust to give you the bottom line- no fluff, no runaround. Rhino-Back’s management team has over 15 years of experience, and has worked with hundreds and hundreds of happy homeowners to provide the best roofing services in Farmington CT .
We specialize in all phases of the roof replacement process. Our family here at Rhino-back is dedicated to serving your needs in a timely manner with an emphasis on quality craftsmanship as well as a commitment to customer service excellence. Our fully qualified staff is here to assist you with roof replacement services in Farmington and are committed to our customer’s satisfaction! We are a Farmington CT Roofing Company with an A rating on Angie’s List, and a 5 star rating on Google and Facebook. So if you’re looking for a company that holds the highest standards for quality, craftsmanship and business reputation, you’ve come to the right place. It will be our pleasure to serve you! If you need a Contractor in Farmington CT, Call Rhino-Back at 860-217-1424 Today! Get a Farmington Roofing Estimate from Rhino-Back. 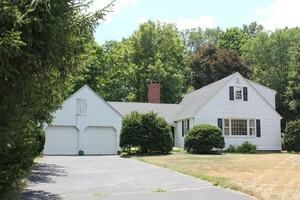 I would like to talk about my roofing project in Farmington, CT.
Click to interact with map. Give us a call or click the “Free Estimate” button to schedule a free, in-home consultation! Another reason you can trust Rhino-Back is because we’ve earned an exclusive certification with one of the industries top manufacturers! If something goes wrong, you’re backed with up to a 50-year labor and material warranty directly through the product manufacturer. A roof is only as good as the people who put it on and stand behind it. Most home owners agree, they need a company that carries a real warranty! View a few of our completed roofs near Farmington below. 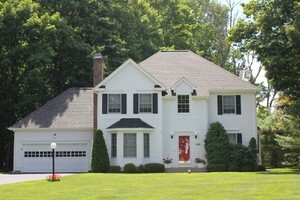 The expert team of Rhino-Back Roofers completed this roofing project in Simsbury in one day, start-to-finish! 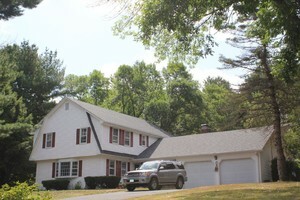 Rhino-Back's Team of Expert CT Roofers completed this full roof replacement in West Hartford in one day! Mike was efficient from the time we had our first meeting. He set all expectations and there were no surprises. From project time to dumpster drop off and pick up to clean up . This was a big job and it took 2 days. I was around for most of it and it was a pleasant experience! They all work very hard. Josh was supervising and did not miss a beat. He answered all questions. Marcos and his team were professional , respectful and extremely diligent. Mike runs a great company and treats his employees with respect. Looking forward to easier winters. Thank you for our new roof and skylights!! They provided quality service. They’re a professional group that I would do business with again any day of the week! Get your free estimate today We work year round! Knowledgeable and pleasant to work with. Spent time figuring out our problem (ice dams and water damage) which happened to be structural. Replaced the roof on the full dormer, correcting the problem and moisture proofing. Done in less than a day and cleaned up as well. Knowledgeable and pleasant to work with. Rhino-Back Roofing is a fantastic company and I can't say enough good things about them. I have a beautiful new roof and chimney as of today! Working with Mike is like working with your best friend! He's genuine, friendly, and honest and makes you feel at ease and comfortable. He really cares about getting you the best roof for the best price, and will do anything it takes! We interviewed several roofers and Mike's price was very competitive (actually I think it was the lowest bid even though he had the best Owens Corning materials and warranty). He was very patient with me when I had questions, explaining all my options and the pro's and con's of different methods. When I preferred adding a ridge vent and soffit vents rather than the roof top fan that he recommended, he gave me a price using both methods. I ultimately chose the ridge and soffit vents and his supervisor, Josh cut the soffit vents himself the day before installation. When I thought we needed a few more vents, Josh added 3 more on installation day at no additional charge!. Since a tree had damaged the back eave of the garage, Mike said he'd take care of that for us, and Josh replaced the plywood, back eave and gutter. Josh is an expert craftsman and the result is beautiful! My roof was leaking over my porch and when the tarp we installed failed, Mike pushed up my roof installation date to accommodate me and get the job done. Mike is very involved from start to finish and kept me informed every step of the way. Both he and Josh returned every phone call and text immediately or within a couple of hours. When I woke up on installation day and realized I hadn't asked Mike to include my shed roof, I asked Josh if he could possibly do the shed also. Since they'd ordered extra shingles, they had enough to do my shed and got that done too! The house, garage and shed were done in one day and Josh was on hand all day answering my questions and taking me for a walk around to see the work being done. The roofing crew were professional, courteous and very hard working on a very cold and windy day! I enjoyed talking to them from time to time and was amazed at the beautiful work they were doing. They made sure I had clear access to my doorways as I went in and out during the day, raking away leaves and nails for me. They did an amazing clean up job, even raking all the stubborn leaves from under my bushes along the house. It was like having a fall cleanup crew free of charge! When Josh inspected my chimney the day before installation, he said it would need a rebuild within the year. Since I'd taken out a low interest Energy Conservation Loan from Capital for Change, I wanted get the chimney done immediately in order to add the cost of the chimney rebuild to my loan, which would require completing new paperwork and a few days delay in payment to the roof crew. Mike was completely understanding, patient and helpful, getting me the new paperwork I needed for the loan. He quickly lined up a chimney mason and crew, and within 5 days of the roof installation, the chimney was done (today!). I highly recommend Rhino-Back Roofing with no reservations! Working with Mike was the best experience a girl (or woman with not roofing knowledge) could ask for. Choose Rhino-Back Roofing! You won't be disappointed! Rhino-Back offers roof replacement services in the following Connecticut communities: Avon, Barkhamsted, Bloomfield, Bristol, Burlington, Canton, East Granby, Farmington, Granby, Hartford, North Granby, Plainville, Simsbury, Suffield, West Hartford, Windsor, and Windsor Locks.